We interact with artificial intelligence (AI) every day. Every time we send an email, post to social media, use mobile banking, stream music or shop online … some form of AI is part of that transaction. Over time, we have become accustomed to it. It’s now second nature and integral in our daily lives. And there’s one massive industry that will fully embrace AI over the next 10 years: the insurance industry. According to the Insurance Information Institute, there are nearly 6,000 insurance companies in the U.S.
About 70 million homes in the U.S. have homeowners insurance. Overall, the U.S. insurance industry net premiums written totaled $1.2 trillion in 2017. It’s a big industry. And it’s on the brink of big changes. 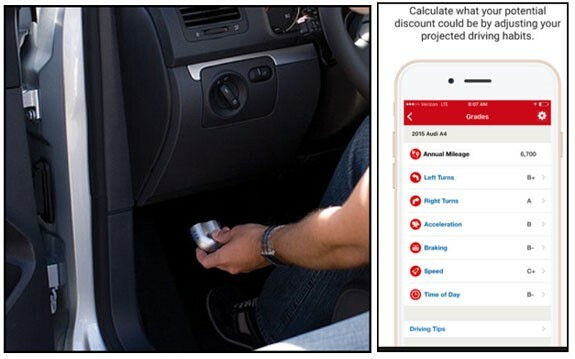 Already, many insurance companies use monitoring devices to learn about your driving habits. These devices are small plug-ins that connect to your vehicle. They capture and score your driving habits. Ultimately, they’re created to reward good driving behavior. After a set amount of monitored driving time, usually 90 days, good driving behavior translates into lower insurance rates. And, of course, the opposite is true if the device captures poor driving habits. But in 10 years’ time, the insurance industry is set to move beyond these devices. A recent McKinsey & Company report offers a futuristic view of the insurance industry by 2030. It states that the industry is on the verge of a technology-driven shift. The winners of this shift will have new products, modern processes and lower costs. Most important, carriers that adopt a mindset focused on creating opportunities from disruptive technologies — instead of viewing them as a threat to their current business — will thrive in the insurance industry in 2030. The report shows that AI will help customers resolve their issues faster. In many cases, the process of underwriting insurance will just take a few seconds. It will also mean less interaction between the insurer and the customer. As a result, insurance companies will save money by needing to hire fewer insurance agents. To profit from this shift, you can invest in two exchange-traded funds (ETF). The SPDR S&P Insurance ETF (NYSE: KIE) is an ETF that tracks the performance of the S&P Insurance Select Industry Index. The iShares U.S. Insurance ETF (NYSE: IAK) is an ETF that tracks the performance of the Dow Jones U.S. Select Insurance Index.